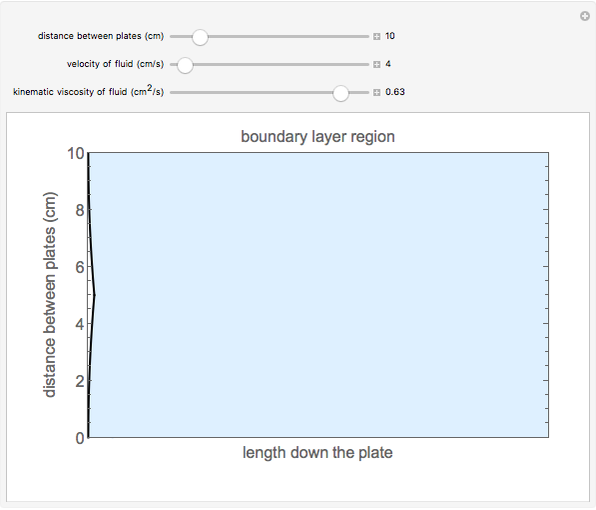 This Demonstration calculates the thickness of a boundary layer for flow between stationary parallel plates as a function of distance down the plates. 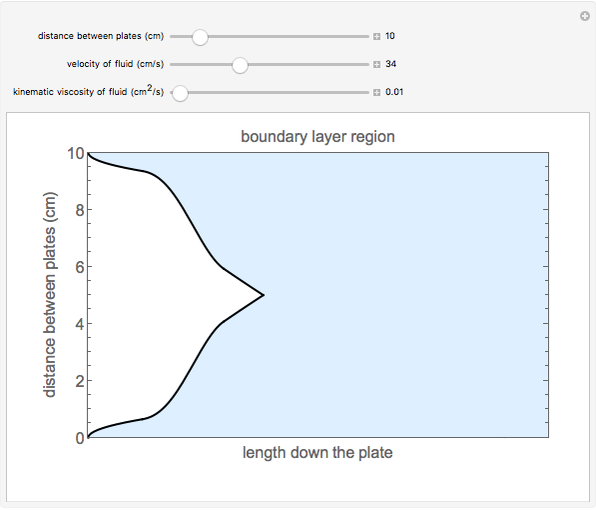 You can vary the distance between the plates, fluid velocity and kinematic viscosity with sliders. 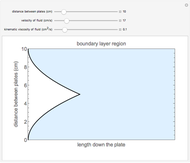 The boundary layer (shaded light blue region) represents the region where viscous forces must be taken into account due to the no-slip condition. 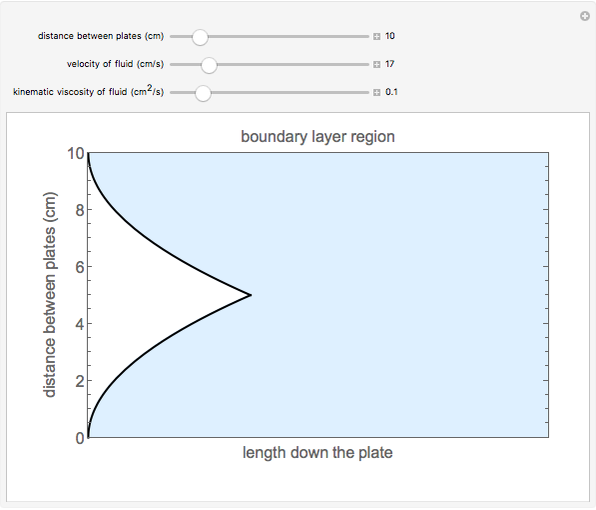 Outside of the boundary layer (white region), viscous forces are negligible. Once the two boundary layers meet midway between the plates, the fluid flow is fully developed. 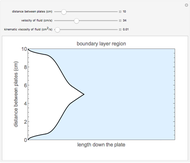 where and are boundary layer thickness for laminar and turbulent flow (cm), is length down the plates (cm), is the Reynolds number (dimensionless), is fluid velocity (cm/s) and is kinematic viscosity ( ). where is the fraction of flow in the transitions region that is turbulent, and and are the boundaries of the laminar and turbulent regions (cm). B. R. Munson, T. H. Okiishi, and W. W. Huebsch, Fundamentals of Fluid Mechanics, 6th ed., Hoboken, NJ: John Wiley & Sons, 2010. 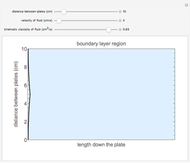 Jaeda C. Sichel and Rachael L. Baumann "Boundary Layer in Flow between Parallel Plates"